“Mr Rocky” is seen here shaking the hand of his thirty something self from the 1980s. 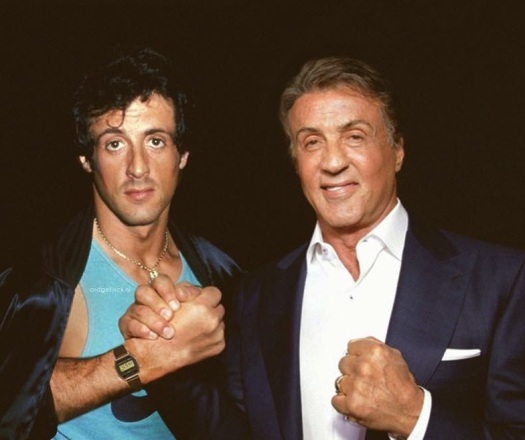 The rumour is that Stallone wrote the script for Rocky in less then fours days after going to see a live boxing match between Muhammad Ali and Chuck Wepner in March 1975. He tried to sell the script unsuccessfully to a number of studios, due mainly to insisting that he played the lead character, but eventually got funding for the first movie in the franchise later that year. The rest, they say, is history.